This month in Singapore its rainy days, some days it rains continuously no mood to go out and a dull day. Just tried this for a rainy day with coffee and lunch. Kids really enjoyed. Brocolli is my sons favourite. He likes soup and pakoda. Here is a simple recipe. Make small florets of brocolli, put in boiling water with little salt. Close with a lid. leave it till you prepare other things. Drain/Strain fully so no water is left. Take a wide bowl, add sliced onion, ginger, brocoli, sprinkle besan and corn flour just to cover the brocolli. Add chilli powder and salt. Dont add water. Heat oil in pan, and deep fry in oil until brown and crispy. 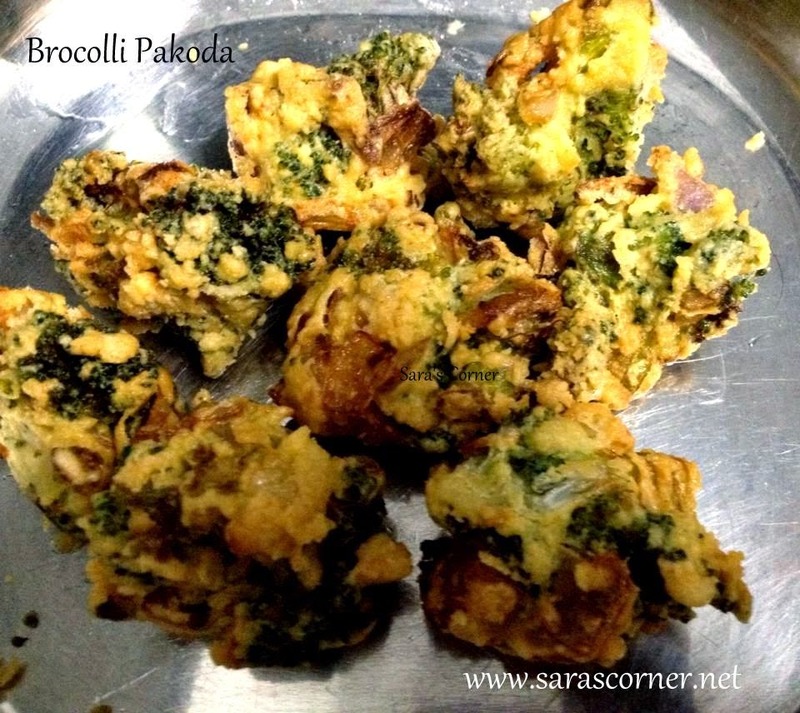 Brocolli pakoda is ready to serve. You can serve with Ketchup.